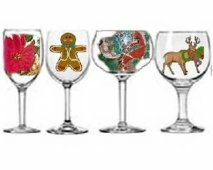 Clearly Susan offers so many Hand painted Christmas designs for Christmas wine glasses so you can choose whatever strikes your festive mood. Let's say you found this great Christmas card and you love the design. 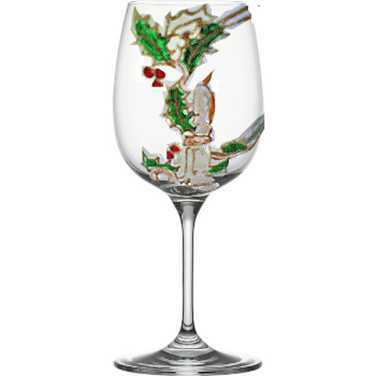 Email it and we can capture it for you on Christmas wine glasses of your choice. 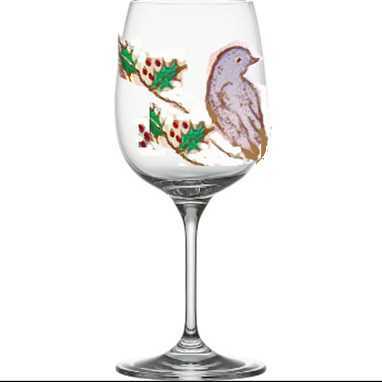 I had a different design offered painted on four glasses and I love them. 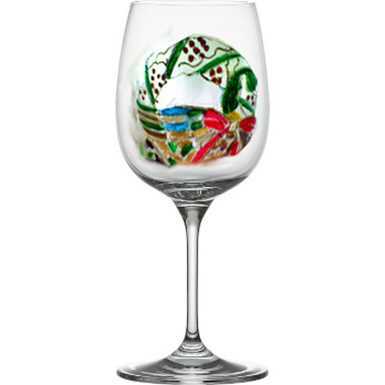 Going to order 4 more. Love your work. Detail is amzing. 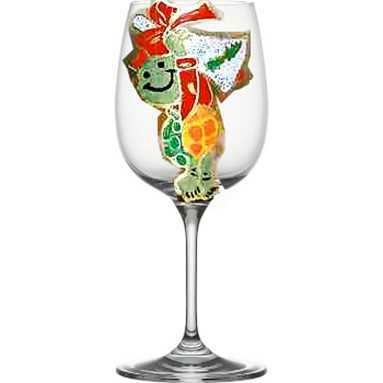 Christmas Santa left his Hat On Wine Glasses!